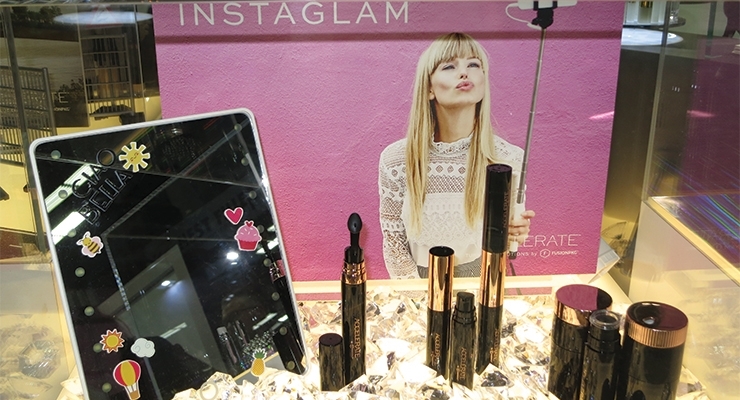 This year’s B2B beauty show placed an increased emphasis on packaging. 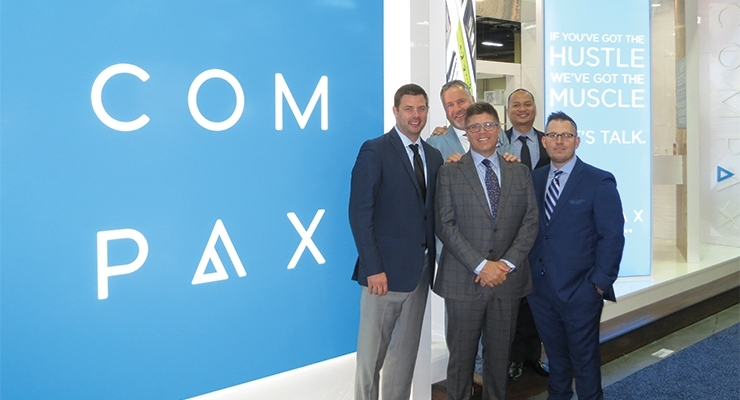 In its 15th year, Cosmoprof NA welcomed nearly 37,000 visitors to the Mandalay Bay Convention Center, in Las Vegas, July 9-11. 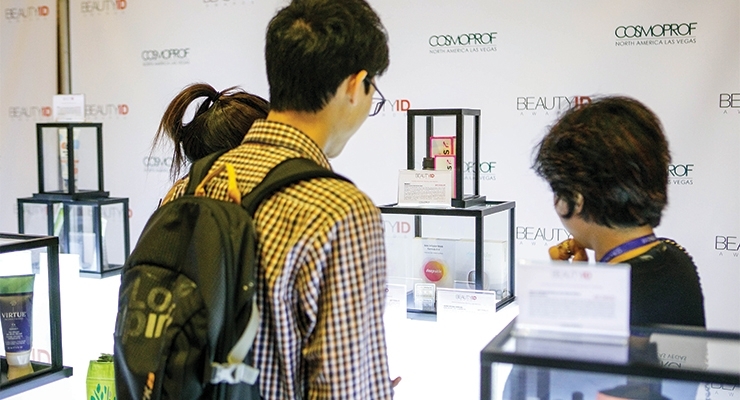 Glass cases throughout the Discover Pack area highlighted packages that had been entered in this year’s new BeautyID Awards program, presented by Cosmoprof NA in cooperation with Beauty Packaging (see winners on page 84 in this issue). 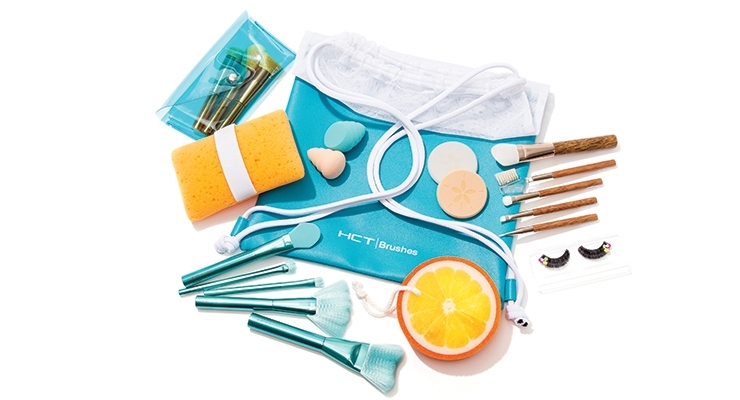 HCT Group showcased a number of brushes, including those in the Poolside Collection. Baralan now offers a full line of plastic components for color cosmetics, including compacts, lipsticks, and mascara. 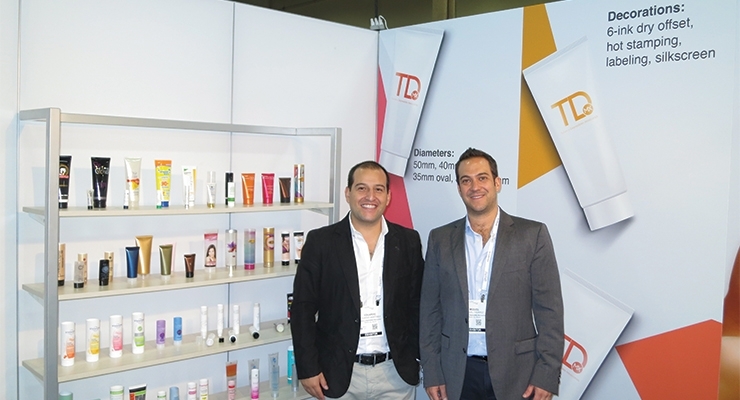 Fusion Packaging launched turnkey solutions—including Instaglam—focused on skin care formulations—and speed-to-market. Packs shown at Roberts use magnets as hinges to allow multiple colors to be connected in a neat stack, in a variety of shapes. Two chambers combined in one tube was a hit at Viva IML Tubes. ABA Packaging has teamed up with Standwill Packaging Inc. to develop and apply high-quality labels for their stock and custom glass and plastic products. The affordable Fine Multilayer Airless series, from Yonwoo/PKG, highlights containers made from a patented, co-extruded blow-molding process. This component from Nest-Filler is unique in that the nozzle doesn’t depress—just the cap does. 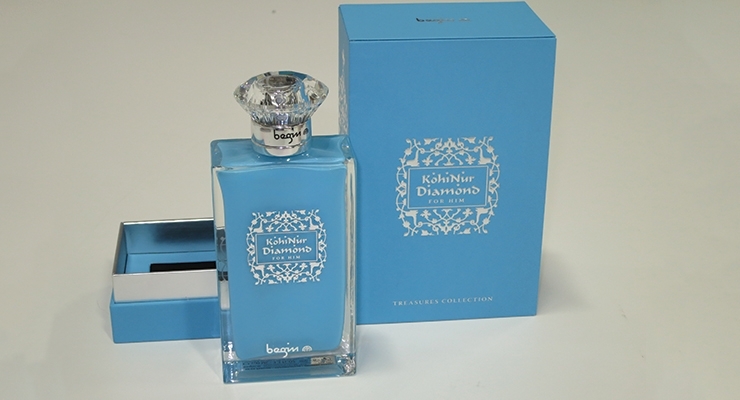 The Diamond Gem Stone collection from Queens Packaging features a mirror-like luxury effect. 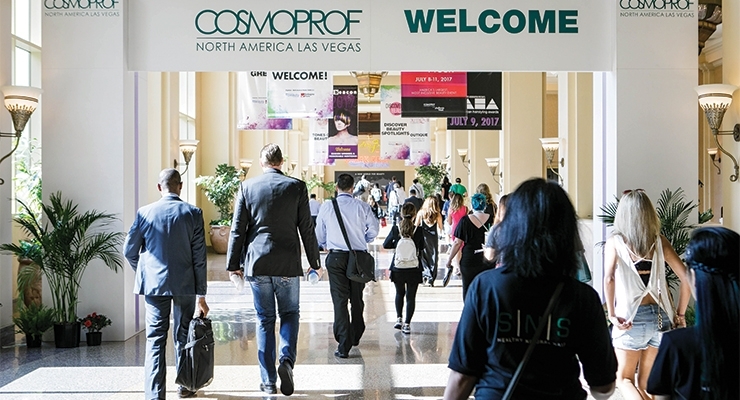 In its 15th year, as in the past, Cosmoprof NA continued its reputation of providing change and excitement on the show floor with new specialized areas and programs to draw visitors. And it paid off: The 2017 show held in Las Vegas at Mandalay Bay Convention Center, July 9-11, once again delivered record-breaking numbers. 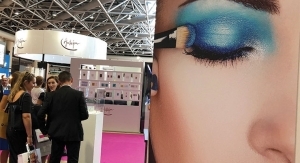 One of the added spotlights this year was on packaging, with this year’s B2B beauty show placing an increased emphasis on ‘cool’ components and ‘concept-to shelf’ development with the dedicated Discover Pack, a new curated special area located in the expanded Packaging Pavilion. With brands increasingly communicating to their customers through the packaging of their products, whether on carton or bottle, or through a unique applicator or dispensing system, it’s not surprising that they’re always on the lookout for new primary and secondary componentry. 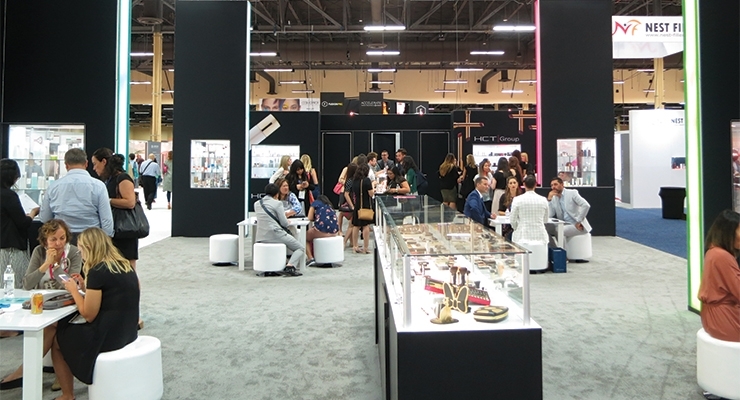 In response to brands’ needs in this regard, Cosmoprof NA, premiered Discover Pack within a white-carpeted, thousands-of-square-feet space inside the packaging pavilion. 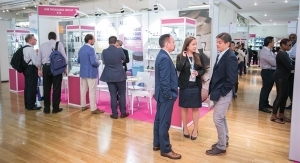 Here, 11 packaging suppliers, new to the B2B beauty show this year, drew increased awareness from visiting brand representatives. 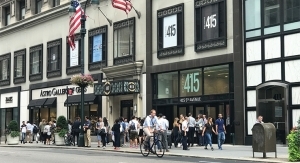 Participating companies in this high-end show-within-a-show also benefited from face-to-face meetings with key U.S. and international buyers. Glass cases throughout the area displayed packages that had been entered in this year’s new BeautyID Awards program, presented by Cosmoprof NA in cooperation with Beauty Packaging. The Discover Pack exhibitors were: Albéa, Avery Dennison, Chromavis Fareva, East Hill Industries, Express Tubes, MYC Packaging, Naturich Labs, Pennelli Faro, Pibiplast Group, So Pack and Verescence. To spotlight the production side of beauty, attendees were able to see the Fabulous Live Lipstick show, which showcased Italian services from three key suppliers (CMI Industries, Intercos and Lumson), and then walk away with freshly made lipsticks. Other new special areas included Discover Pro Beauty (Professional Beauty), and Discover Green Leaf (Organic Products), with a return of the popular—and expanded— Discover Beauty, Spotlights, Discover Scent, and Tones of Beauty. Cosmoprof NA’s special Boutique station once again presented its popular sampling display, where attendees were able to select seven samples to curate a personalized box. There were 20 brands participating in Boutique this year, and the station raised $18,426—all contributed to the charitable Look Good Feel Better Foundation. 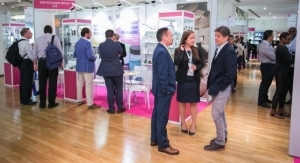 Not only had the packaging area been revitalized with additional suppliers, but the geographical range of exhibitors was more evident this year—and also drew visitors from many associated countries. 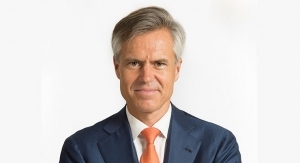 Slowey said he had met with brand attendees who had traveled from all over, including the West Coast, East Coast, Utah, Texas—as well as an international array of packaging exhibitors and attendees. He added that there had been a mix of large and small brands, including “lots of Canadians, Mexicans and South Americans.” A number of exhibitors from these same regions were also present on the show floor. Full Service has been a growing trend in the beauty arena for quite some time, and Cosmoprof NA exhibitors proved the point. 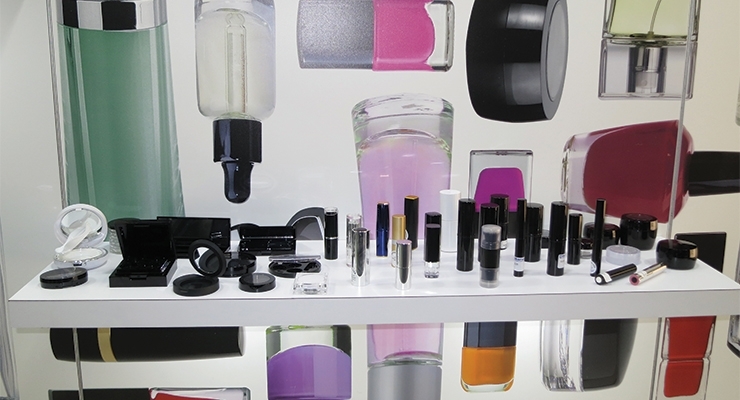 In fact, a couple of full service suppliers told Beauty Packaging that they had made exclusive product deals—for large quantities—on the show floor. 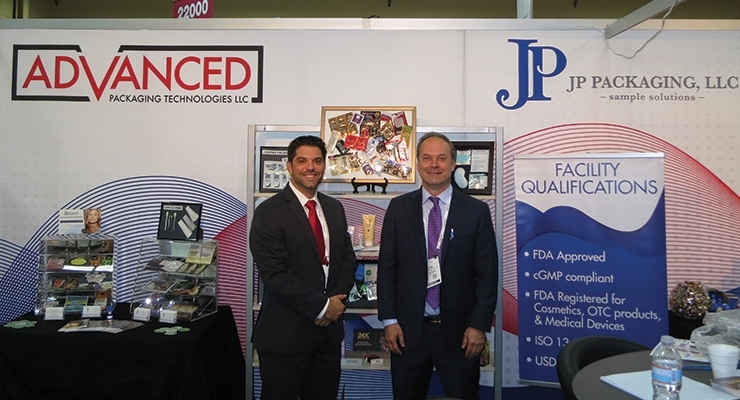 We visited the booths of many exhibitors who had full-service offerings, providing everything from formulations to on-shelf—many with accelerated speed to market. So Pack specializes in Made in France turnkey products, in particular, fragrance, creating complete brands from start to finish. Jean-Michel Pontier pointed out a beautiful bottle and matching carton on display that had been developed for a customer in Uzbekistan. A lustrous coating inside the glass perfectly matched the carton—both with silvery print. A glass stopper with a magnetized cap provided a snug fit—and perfectly topped it off. Fusion Packaging launched turnkey solutions primarily focused on skin care formulations—and with speed-to-market in mind. 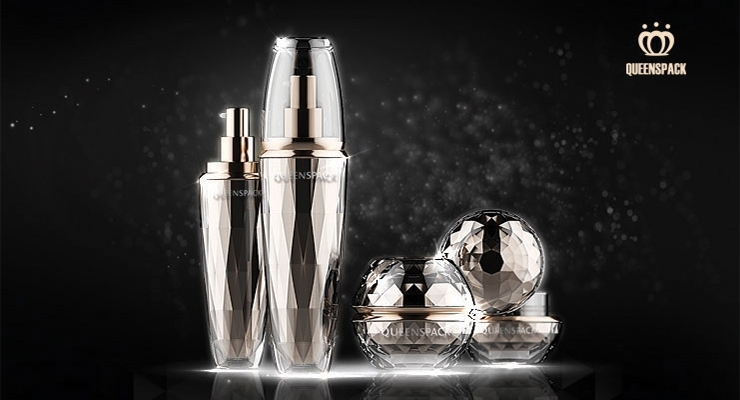 Lesley Gadomski, business development officer, Fusion Packaging, told Beauty Packaging they are “marrying their innovative formulations with their innovative packaging” in a new range called Accelerate by Fusion Packaging. Eight trends are available, with a total of 60 formulations. For instance, Urban Retreat is an anti-pollution trend, while Instaglam serves the need of making a customer selfie-ready, thanks to coverage features. Fusion completes all the testing so when a customer chooses an option, they know everything’s approved (ie, package stability, testing, etc.) 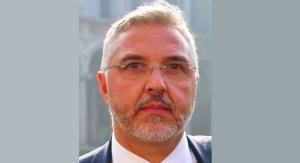 Gadomski said the range caters to brands that need to constantly have new products. Time to market is about 4-5 months; MOQ minimum is 10,000. 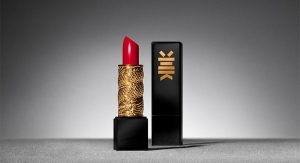 More Fusion news: The supplier now offers color cosmetics packaging, with a range of compacts, lipsticks and more. With their Brush Division focusing this year on innovation, HCT Group showcased an extensive selection of brushes with newly imagined hair shapes and environmentally friendly additions. The Retreat Collection, for instance, featured the Scalloped Shell Brush set with grooved edges, ideal for blending and buffing. Also featured was the Coconut Wood Brush set which boasts skincare benefits with its coconut-infused synthetic bristles, while its coconut bark handles make it eco-oriented as well. Pacific Bridge Packaging featured full-service capabilities and showcased airless and acrylic packaging with a glass-like look. 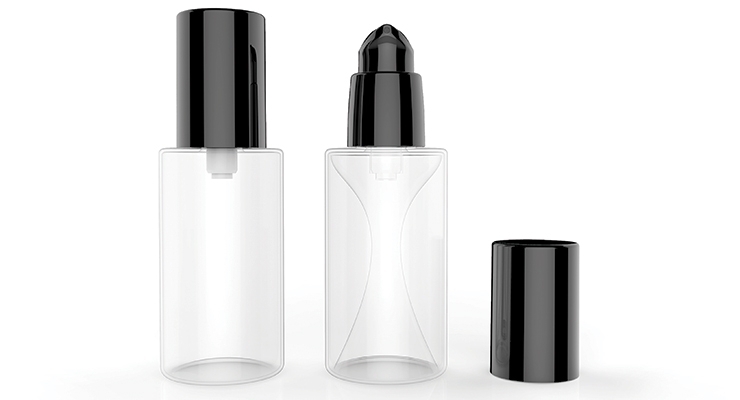 Focused on higher-end skin care packaging, the supplier displayed families that included airless, jars, bottles and an airless syringe. They provide all manufacturing and filling services. 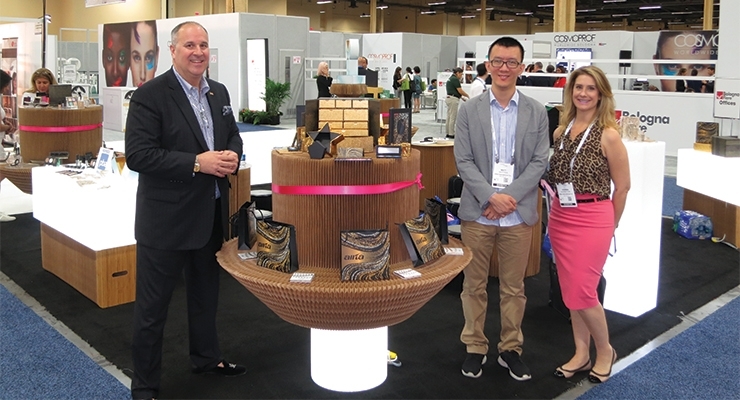 At Allta Packaging, a full turnkey, factory-direct cosmetics supplier, the booth, itself, spoke volumes about the company’s specialty in all-paper packaging, as even the display units were imaginatively constructed of paper. Paper “shelves” were laden with paper compacts, palettes, jewelry boxes, cartons and more in all different shapes and sizes. Decorative effects, folding effects and magnetized features provided a luxe look and a tactile feel. Empack, an aerosol packaging manufacturer, offers full-service for hair care, personal care and sun care, including custom formulations. 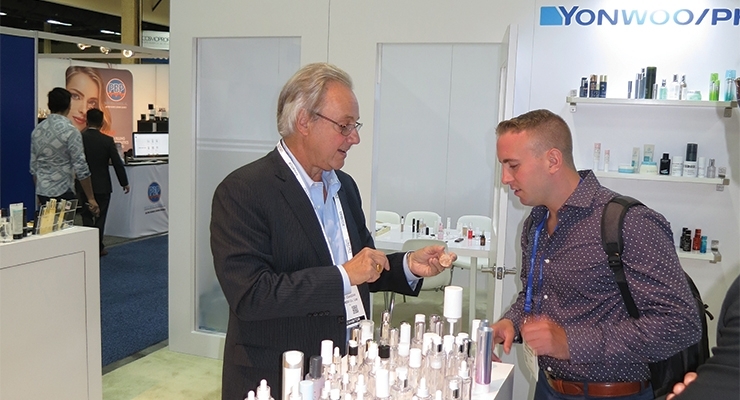 At MYC Packaging, Colin Philips, general manager, told Beauty Packaging that two of their focuses at the show were loose powder and interactive packaging. He also provided a “teaser,” mentioning a newly patented dispensing system for lip gloss, as well as other color cosmetics. The new magnet system requires no turning—so new applicator and rod shapes are open for development. 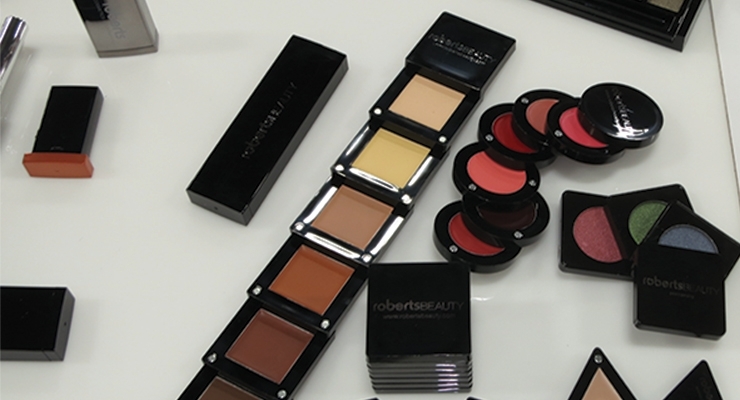 Kristen O’Connell, director of marketing and product development, Roberts Cosmetics + Containers, showed Beauty Packaging some updates to their popular brick stick, adding single-size and double-ended versions. They also now offer a new sleeve so you can combine singles—and the sleeve allows for lots of deco capabilities, or even a mirror on the back. A spring eyeliner was also interesting. When you pull the wand out, the spring goes down to protect the wand from getting the formula on it. A refillable airless pen has a pushbutton dispenser that’s responsive to touch. Packs that use magnets as hinges allow for multiple colors to be connected in a neat stack in a variety of shapes. 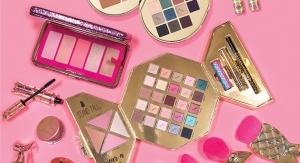 HJS Packaging Company, based in Wisconsin, was promoting full-service packaging for color cosmetics. 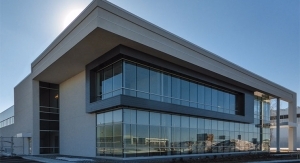 Total solutions include mold design, tooling, injection molding and plating. Specialties include top plates and different effects such as water drops. A push-up sponge took its cue from the ever-popular cushion compacts, but in a jar form, for foundation or blush. Lots of decorative effects are available for tops of compacts and caps. 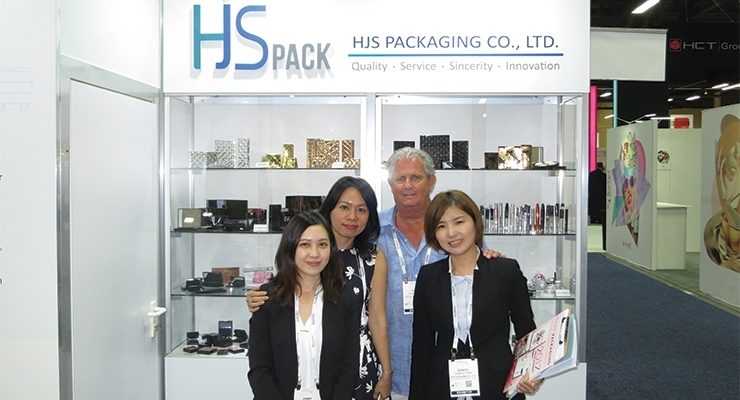 With so much market emphasis on Color Cosmetics, World Wide Packaging (WWP) continues to expand its portfolio of compacts, and featured quite a few at the show. The Sidecar compact offers a sleek and modern look with a custom swing-out closure. The swing hinge mechanism not only provides functionality, but offers a transitional design feature that creates a smoothing contour to a normally square package. The combination features create a unique end result and can easily be developed into a family product line. Cover options are available in clear or opaque with or without a mirror. Insert options can be mono, duo, trio or quad. The latest in lipstick design from WWP was a sleek hourglass-shaped lipstick with a clear-view cap and a color oval base for easy twist-up application. The tapered feature combines with a defined product delivery system for more accurate product application. 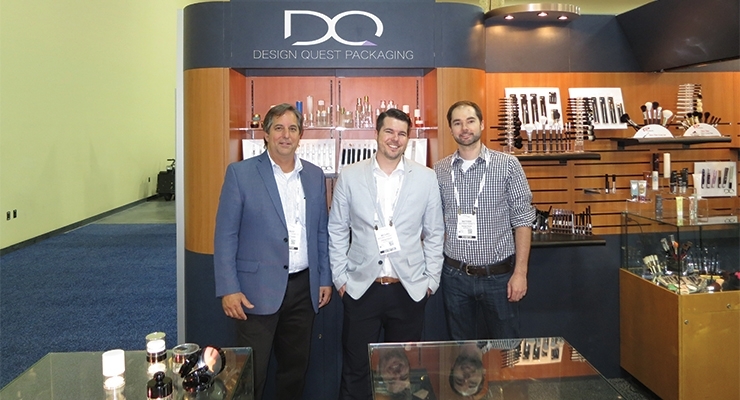 Design Quest (DQ) Packaging showed a full range of packaging and turnkey solution offerings. Double-wall airtight compacts for one or two foundation shades—for foundation and blush or for an eyeshadow pattern—stood out in the booth. Also on display were jars for mineral powder and an array of airless pens and applicators, including dosage controlled stick applicators in pump and twist styles. 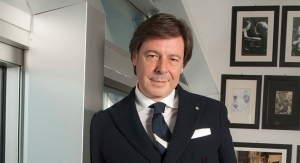 Brushes with new varieties of synthetic hair at attractive price points are “taking cosmetic brushes to new levels,” according to Robert Tognetti, managing member, DQ. Among other packages, Olivia Dolan, from Jansy Beauty, showed Beauty Packaging a cooling lip balm, dual-ended liquid eyeliners, and tubes with silicone and sponge tips. 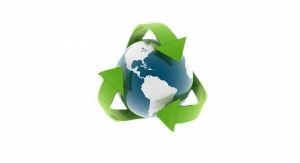 Essel Propack was further along in its “going green” process, making an advance on its Green Maple Leaf tube, which is #2 recyclable. The new Organic Green Maple Leaf is a plastic laminate tube that has all the necessary barrier and UV protection. Sydney Owen, marketing coordinator, Essel Propack, told Beauty Packaging that because it’s a laminate, which is sugar-cane based, it’s fully recyclable. HDPE caps are available to complete the package. Tubos y Depresibles (TD-MX), had traveled from Mexico to exhibit at the show. Among their offerings were plastic and airless tubes, of all sizes, including sampling sizes. TD-MX emphasized that they have competitive pricing compared to the U.S. MOQ is 10,000 and lead time is just 45 days. 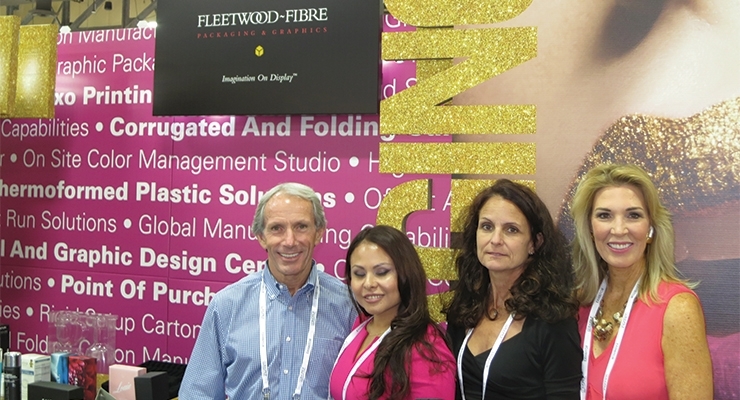 They provide decorative capabilities, manufacturing, filling and sealing in a family-owned and run company. 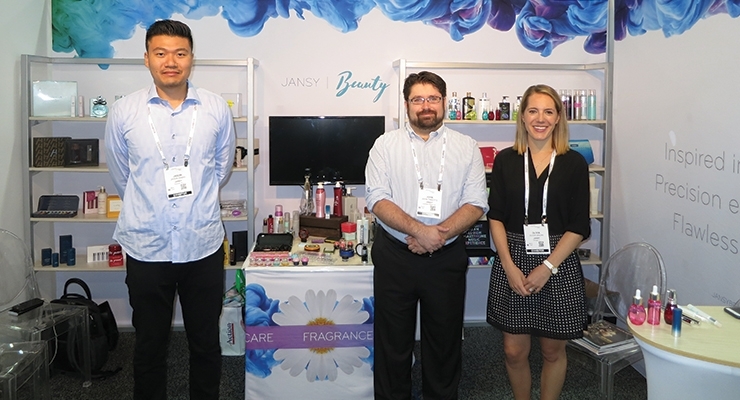 It was JP Sampling’s first appearance at Cosmoprof NA, which had been prompted by the rise in popularity of brands looking for sampling solutions—especially in regard to subscription boxes. Ten-count multidose wipes come in a foil pouch and are resealable for purposes such as on-the-go use, GWP, sampling and regimen programs. John Vandercliff, president, also showed Beauty Packaging the company’s two-sided blisters with the shade on both front and back (rather than a traditional foil back), which can be inserted in magazines. 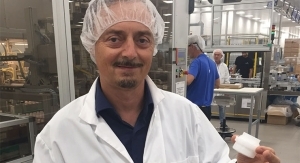 The big news at Identipak was that their facility is now organic-certified, so they are able to produce “green” sample packaging made of recyclable paper to accommodate USDA organic-certified products. ABA Packaging has teamed up with Standwill Packaging Inc. to develop and apply high-quality labels for their stock and custom glass and plastic products. Mike Warford, ABA director of sales, described the solution as “a full-service decorating option that allows brands to do multi-color, multi-image deco on their package at a much lower cost per piece.” With the elevated quality of labels,” Warford said labeling is now “much more accepted” in high-quality luxury packaging including fragrance applications. 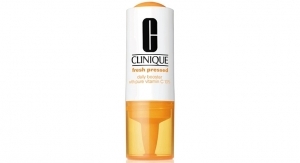 New High Glass had a broad array of packaging available for fragrance and cosmetics. They revealed a new line of wooden caps in various shapes for jars and bottles. The supplier also showcased a new line of Surlyn caps developed in their China office, where they also manufacture their own “fancy pumps.” China production is quality-controlled by the New High team. They can do small quantities—5,000-10,000 pieces—of bottles and caps. 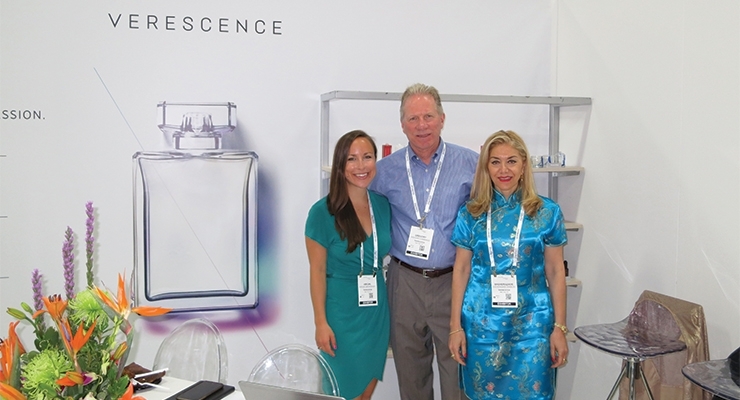 Verescence (formerly known as SGD) presented some new concepts in beauty glass packaging, with some of their most recent launches on hand to demonstrate creative packaging ideas. 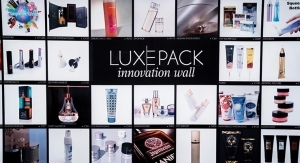 The Beauty “La Collection” range of 230 stock shapes and capacities for perfumery, skincare, and makeup can be easily tailor-made for product customization. 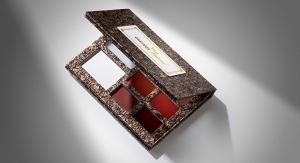 Beauty glass packaging featured new glass and decoration concepts to create a unique pack, while innovative and eco-friendly solutions brought personalization and differentiation. Yonwoo/PKG introduced the Fine Multilayer Airless series with containers made from a patented, co-extruded blow-molding process. The Fine Airless is not limited to straight-sided round or oval and can be custom made to be more shape expressive to match a brand’s image. The Fine Airless also makes airless preservative-free packaging more affordable in tooling and unit cost than traditional piston and allows the same 99% evacuation of product. 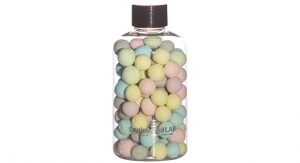 It’s suitable for any cream, lotion or serum. Nest-Filler’s account executive Elise Kim, pointed out a new cap/actuator that was getting lots of interest at the show. Available in sizes including 30-, 35-, 40-, 45- and 50ml, Kim said the component is unique in that the nozzle doesn’t depress—just the cap does. 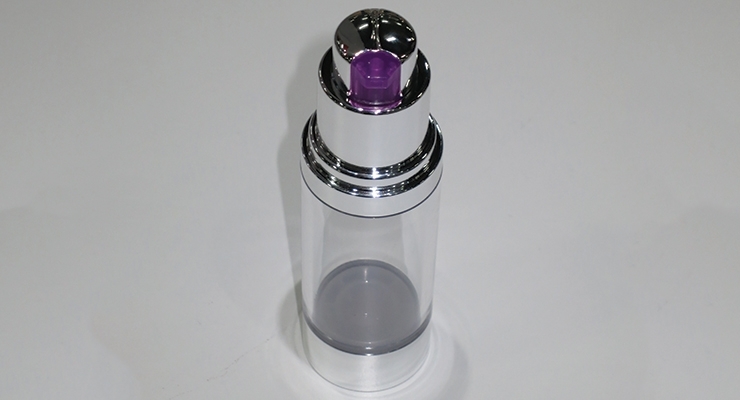 Usually you press the cap and the nozzle goes down; here, it stays up, making for an interesting and eye-catching feature as the nozzles can be customized in different colors. Unique Distinctions, headquartered in Canada, provided a full range of products including tubes, bottles, caps, applicators and more. One cap, that targeted sunscreen brands, changes color in UV light. 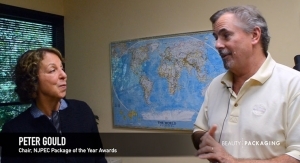 Plastic Barrier Laminate (PBL), an alternative to in-mold labeling, provides great graphics, including realistic photos, according to Evan McVittie, sales and marketing coordinator at the company. Water-transfer-decorated dispensing pumps in animal prints made a statement at the booth. 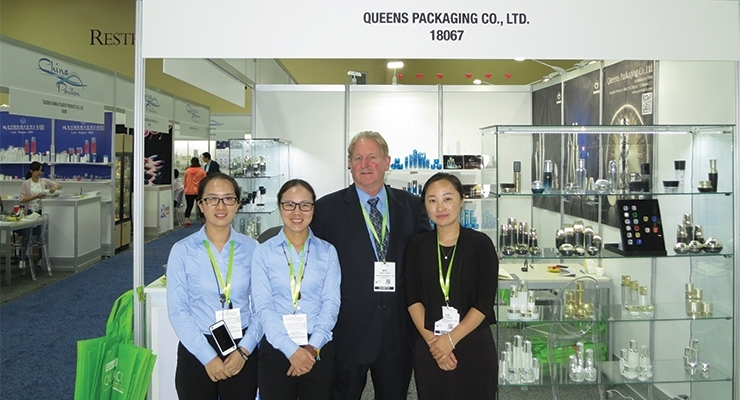 Queens Packaging featured a wide variety of PMMA acrylics—a number of families for full lines. A specialist in heavy wall acrylics, dozens of custom designed skin care families were on display. One of the most popular was the Diamond Gem Stone collection, soon to be released for production. The collection features heavy wall acrylic (PMMA) bottles and jars, with PP inners. In-mold stereoscopic jeweled faceting combined with silver spray provides a mirror-like luxury effect. Cosmoprof NA’s expansive educational session with panels and talks, once again drew crowds of attendees interested in topics from “Package Design in a Digital World” to “Scaling Your Business with Style.” Beauty Packaging’s sold-out panel, “Whimsical Packaging in An Omni-Channel World,” proved to be both entertaining and enlightening. Panelists were Sophie Maxwell, futures director, Pearlfisher; Natalie Mackey, co-founder, CEO, Winky Lux; and Ian Ginsberg, president, C.O. Bigelow. Beauty Packaging’s Jamie Matusow moderated. Read Pearlfisher futures director, Sophie Maxwell ’s article” 5 Steps to Future-Proof Your Brand for Today’s Millennial Beauty Buyer” at BeautyPackaging.com. See this slideshow on Whimsical Packaging. New to Cosmoprof NA for 2017 was an industry-wide awards program designed to provide inspiration and recognize true creativity in packaging and contract manufacturing. Sponsored by Cosmoprof NA, in cooperation with Beauty Packaging, the BeautyID Awards were voted on by industry luminaries and announced and presented on the show floor on July 10; 12 prizes were given to companies including Estée Lauder and Sphynx. For all the winners, please see the story on page 84 in this issue, and at BeautyPackaging.com. Please stay tuned for info and deadlines regarding next year’s BeautyID Awards. In 2018, Cosmoprof NA will take place July 29-31.